The love of reading starts at home! 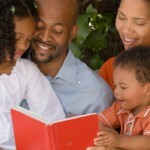 Here are 10 ways that families can improve their child’s reading skills, with or without a hearing loss! 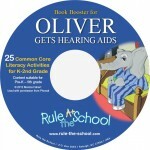 Not all children with hearing loss become successful readers and there is not one way to improve reading ability for all children. The ability to apply text processing strategies for the purpose of figuring out unfamiliar words and passages. 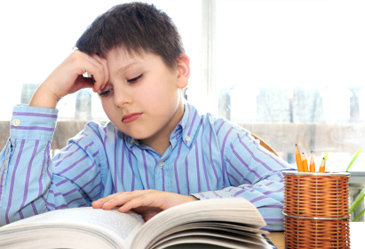 So how does one ensure that children with hearing loss learn reading comprehension strategies? 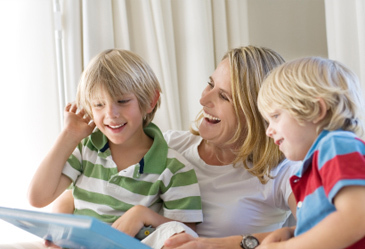 Research encourages conversations with peers and grown-ups before, during and after read-aloud time to nurture literacy, as well as routine conversations with expert communicators such as teachers, peers and parents to help children develop their background knowledge of the language. 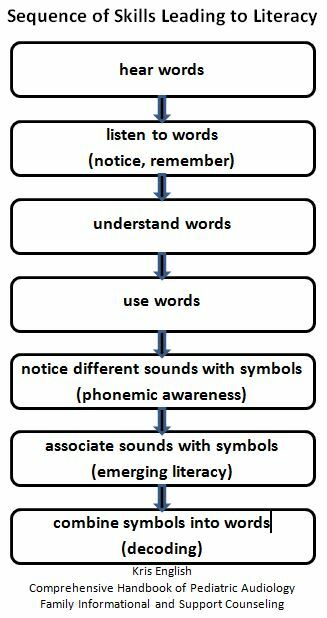 They also encourage development of phonemic awareness (letter-sound associations) in meaningful contexts through wordplay activities, such as reading in character and using interactive books. A child with strong language skills is more likely to learn to read as the words already have meaning, he just needs to learn the printed representation. Children with language delays may be learning the meaning of words at the same time as they are trying to learn the printed words. 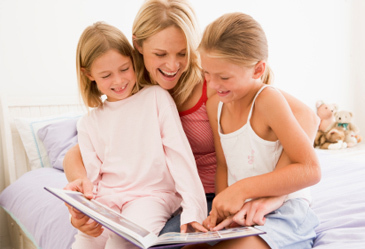 Follow your child’s lead and use stories with known vocabulary and topics interesting to him. 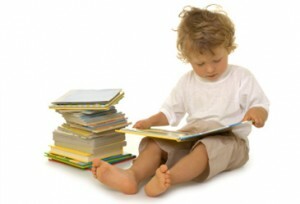 Read many books to your child! He will develop favorite stories and topics. 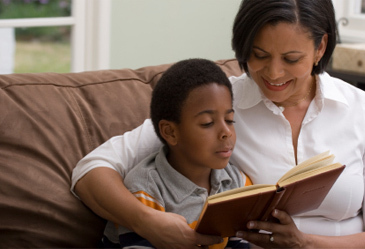 If your child is primarily using his listening skills to learn, use stories that he is familiar with and have him follow your finger under the words as you read aloud. For very familiar stories he may be able to use his own finger under the words. If your child needs visual support, sit side-by-side and encourage him to listen and watch your face as you read, then repeat the line, moving your finger along the words. Repeat with him tracing the words at you read the page again. Encourage language development by having him repeat the story plot to a family member or a favorite toy. Ask him questions about what happened in the story, what characters may be thinking and what he thinks may happen next. Sometimes ask silly questions so that he can enjoy explaining what is really going on, experienced by characters, etc. If your child uses sign language, be sure to sign the story or use speech and sign at the same time, depending on how your child communicates most easily (see 15 principles for reading to Deaf children). Use these strategies to help improve reading skills but remember, reading should be a fun sharing time for the two of you. Use of the strategies should not interfere with his enjoyment of the story and being with you! Free access to books online! 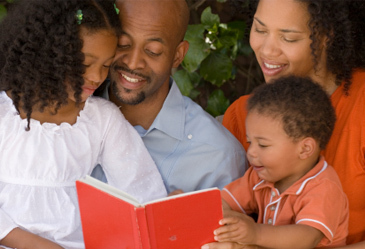 We Give Books is a way for family members to get online books at no cost. A family member can sign up for a free account. 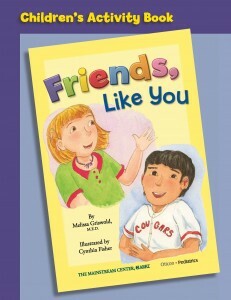 Books are specified for each age range: 0-3, 4-7 and 8-10 years. For each book you and your child read on their website, We Give Books will donate a book to one of their partner charities that help build libraries and enrich public schools around the world. The 10 steps below are applicable to all children and will ‘set the stage’ for your child to become a reader.